Portland stone painted and gilded. This foundation stone readily demonstrates the expressive potential of fine hand carved lettering. 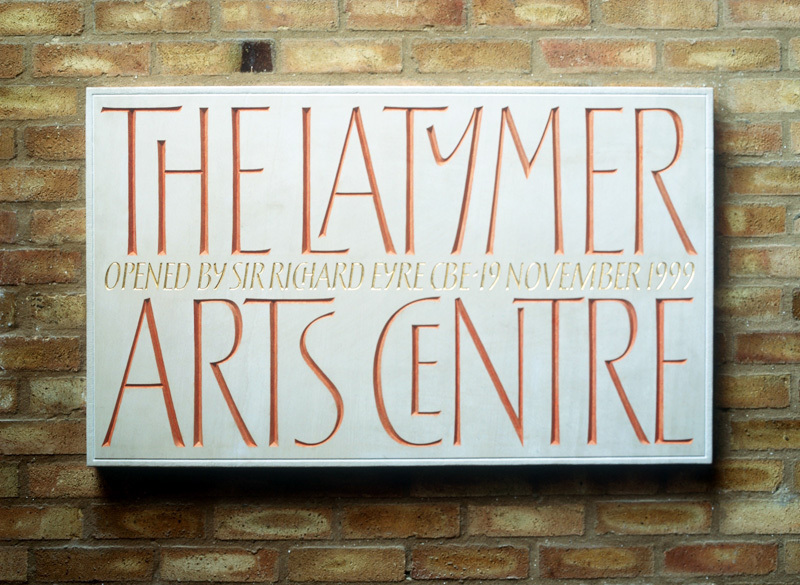 The calligraphic letterforms are admirably suited to their use for an Arts Centre. No mass-produced font would be capable of being moulded to such an individual use.